You are currently looking for Holiday Cottages in St Ives to help you find the right cottage break you can filter the results. Una Aurum 58 (St Ives) sleeps a maximum of 2 people. Una Argentum 62 (St Ives) sleeps a maximum of 4 people. Una Stannum 66 (St Ives) sleeps a maximum of 8 people. Una Stannum 49 (St Ives) sleeps a maximum of 8 people. Una Argentum 77 (St Ives) sleeps a maximum of 4 people. Una Argentum 61 (St Ives) sleeps a maximum of 4 people. Una Aurum 56 (St Ives) sleeps a maximum of 2 people. Una Aurum 55 (St Ives) sleeps a maximum of 2 people. Una Cuprum 53 (St Ives) sleeps a maximum of 6 people. Una Argentum 63 (St Ives) sleeps a maximum of 4 people. Una Argentum 59 (St Ives) sleeps a maximum of 4 people. Una Stannum 52 (St Ives) sleeps a maximum of 8 people. Una Aurum 57 (St Ives) sleeps a maximum of 2 people. Una Argentum 71 (St Ives) sleeps a maximum of 4 people. Seafield (St Ives) sleeps a maximum of 6 people. Back Of Beyond (St Ives) sleeps a maximum of 4 people. Janjira (St Ives) sleeps a maximum of 4 people. Breakers Point (St Ives) sleeps a maximum of 4 people. Chy-An-Mor (St Ives) sleeps a maximum of 4 people. Gillyflower Cottage (St Ives) sleeps a maximum of 4 people. Chy Lowen (St Ives) sleeps a maximum of 10 people. Boscarne (St Ives) sleeps a maximum of 10 people. Blackberry Cottage (St Ives) sleeps a maximum of 4 people. Mermaids Rest (St Ives) sleeps a maximum of 4 people. Rosewall Cottage (St Ives) sleeps a maximum of 4 people. Chy Barnett (St Ives) sleeps a maximum of 7 people. Seagulls Rest (St Ives) sleeps a maximum of 4 people. Admiral's View (St Ives) sleeps a maximum of 2 people. 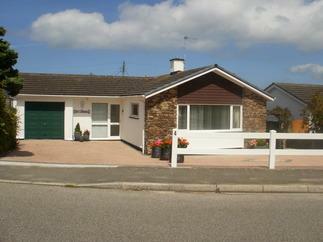 Beach Retreat (St Ives) sleeps a maximum of 4 people. Starfish Rest (St Ives) sleeps a maximum of 4 people. Apartment 1 Llewellan (St Ives) sleeps a maximum of 2 people. Neptune Sky Villa (St Ives) sleeps a maximum of 6 people. Trehan (St Ives) sleeps a maximum of 4 people. Quentin's (St Ives) sleeps a maximum of 4 people. The Beach Hut (St Ives) sleeps a maximum of 2 people. Butterfly Rest (St Ives) sleeps a maximum of 4 people. Pippin (St Ives) sleeps a maximum of 3 people. 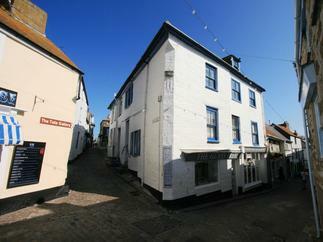 The Loft (St Ives) sleeps a maximum of 4 people. Porthmeor Beach House (St Ives) sleeps a maximum of 9 people. Apartment Twenty (St Ives) sleeps a maximum of 4 people.